Dieppe is not only a major trading port. The fashion for "sea bathing" in France was launched in Dieppe in the nineteenth century. At the seaside you can find a beautiful pebble beach topped with cliff. A rich history has left many well-preserved testimonies: castle, old houses, etc. You can also admire spectacular sunsets. 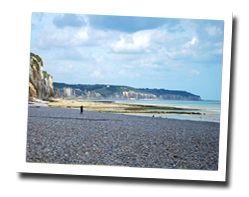 In Dieppe enjoy a seaview holiday rental. 4 rooms house 94 m2. Balcony, shared garden. View of the sea. Studio flat 30sq. m on the 2nd floor of a building with view of Dieppe harbour. Beach : 10m, town centre 50m. 0 Bedroom(s), 2 double bed(s). Residence des Arcades offers accommodation in Dieppe. 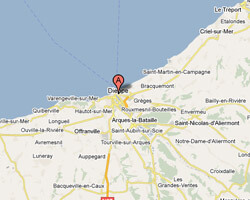 Dieppe Casino is 500 m away. All units include a seating and dining area. Some units feature a terrace and/or balcony. 3 rooms Apartment. Distance to the sea: 20 m. distance from town centre: 50 m. View of the port.